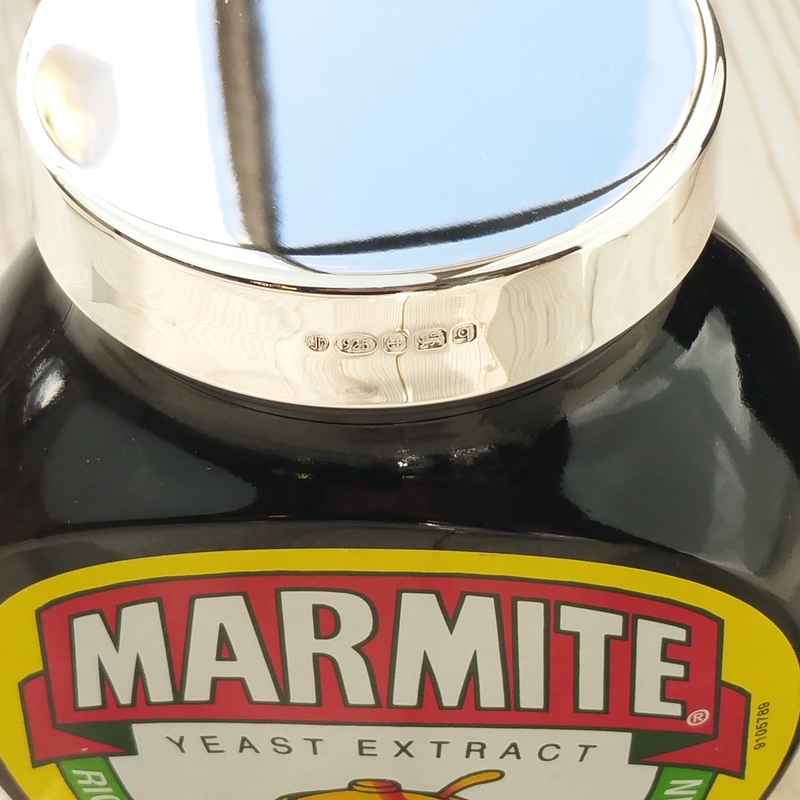 Our Sterling Silver Marmite jar lid is available in four sizes, 70g,125g, 250g and 500g. The jar of Marmite provided holds 500g and the lid itself can be transferred to another jar of the same size when the first one is finished. 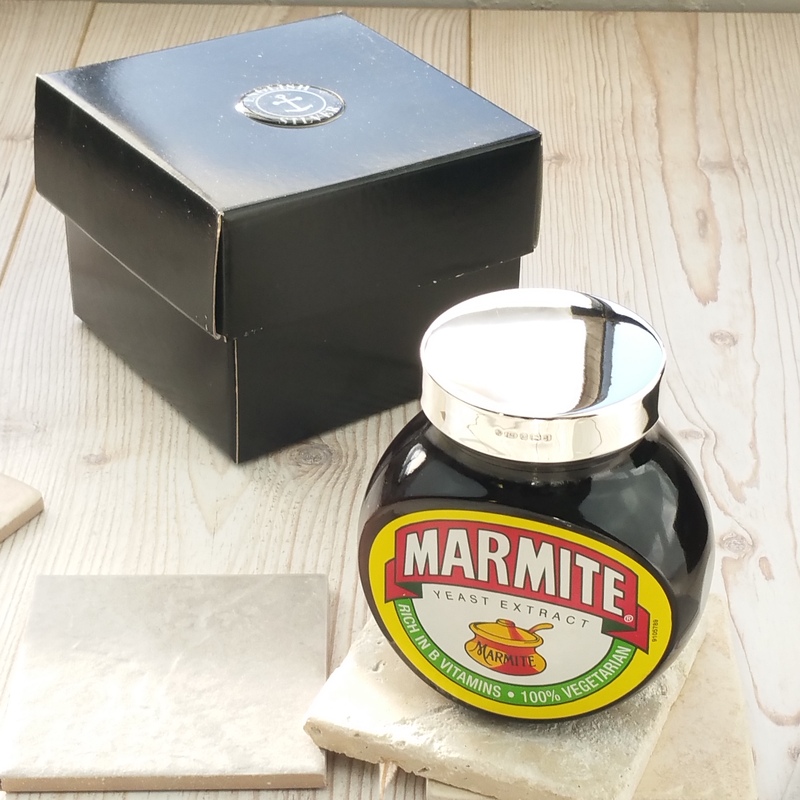 The silver Marmite lid and jar is supplied in a simple recycled card box and the item is wrapped to protect it in transit.